They have a mixin function that mixes in their class body into another type. mixin: An ES5 constructor function that has properties mixin, class and interface. You create mixins with the mix function. mix accepts an optional superclass as the first argument, then a bunch of mixins and an optional class factory as the last argument and returns a mixin. Notice that the argument to mix is an arrow function that accepts a superclass and returns a class that extends the given superclass. The body of the mixin is defined in the returned class. We call this a class factory. Class factory: An arrow function that accepts a superclass and returns a class extends superclass. The mix function creates a mixing function based on the given mixins and the class factory and invokes it with the given superclass to create the ES6 class backing the mixin. It then creates an ES5 constructor function that uses the ES6 class to create and return new instances of the mixin. Finally it constructs the mixin’s interface from the class prototype and attaches the mixin function, the class and the interface to the ES5 constructor function, creating what in the context of mics we call a mixin. var looker = new Looker()     // > A looker is born! looker.look()                 // > Looking good! var looker = Looker()         // > A looker is born! ES6 made newless invocation of constructors throw an error for ES6 classes, because in ES5 it was often a cause for bugs when programmers forgot new with constructors that assumed new was used. However I (with many others) believe that not using new is actually better for writing maintainable code. So mics makes sure that it’s constructors work whether you use new on them or not, because the backing ES6 class is always invoked with new as it should be. Whether you want to write new or not in your code is up to you. As you can see, we can override methods and use super to call the superclass method, just like we can with normal ES6 classes. instanceof works for mixin instances like it does for ES6 classes. But, like ES6 classes, it does not support multiple inheritance. In the example above, Looker is effectively the superclass for Duck. Walker and Talker are mixed into Duck by dynamically creating new classes and injecting them into the inheritance chain between Looker and Duck. Because these are new classes, instances of them are not recognized by instanceof as instances of Walker and Talker. Fortunately, mics gives us an is function, which does understand multiple inheritance. Tests whether subject is-a type or extends from type. The first parameter to is defines the subject to test. This can be an instance or a type. The second parameter is either a type (constructor function, ES6 class or mixin) or a type string. // `is` to the rescue! // Ok, that means we can use Promise.resolve! Supported type strings: "class", "mixin", "factory", and any type strings that can be passed to typeof. Add an issue in this project’s issue tracker to let me know of any problems you find, or questions you may have. Many thanks to Marco Alka for his contributions to this project. Copyright 2017 by Stijn de Witt and contributors. Some rights reserved. Licensed under the Creative Commons Attribution 4.0 International (CC-BY-4.0) Open Source license. 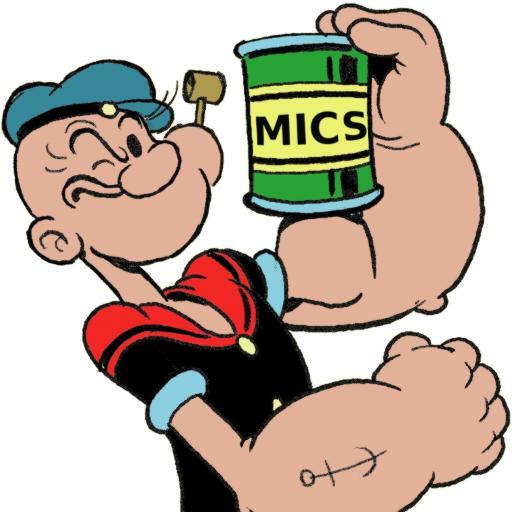 mics is maintained by Download.